Atrial fibrillation is a cardiac arrhythmia that often produces very disruptive palpitations, fatigue, and even shortness of breath. Worse, atrial fibrillation can substantially increase your risk of stroke. If you have atrial fibrillation there is little question of whether you need treatment. You do. The question is: Which approach to treatment is the right one for you? The reason this question is often a difficult one to answer is because there is no treatment for atrial fibrillation that, in a majority of patients, is both safe and effective at getting rid of the arrhythmia and restoring a normal rhythm. Deciding on the "right" treatment for any individual with atrial fibrillation is most often a compromise. If it were easy and safe to restore and maintain a normal heart rhythm, then the goal of treating atrial fibrillation would be to do just that—to get your heart rhythm back to normal and keep it there. This approach to therapy is called the rhythm-control approach. And while this indeed turns out to be the right approach for many patients, in others it is a treatment goal that is simply not achievable at an acceptable level of risk. For many people with atrial fibrillation, an alternative approach to therapy—one that can be more effective and safer—is to allow the atrial fibrillation to persist, while taking measures to eliminate symptoms and reduce the risk of stroke. This second approach to therapy, often called the rate-control approach, means conceding that atrial fibrillation is the "new normal" and working toward controlling the heart rate (to diminish symptoms) and using anticoagulation therapy (blood thinners) to reduce the risk of stroke. While this rate-control approach may at first glance seem less desirable than rhythm control, there are compelling reasons to use it in many patients with atrial fibrillation. There are several circumstances that usually point to rhythm control as the right treatment. If your atrial fibrillation is caused by some potentially reversible cause, then, in general, the goal of therapy ought to be to treat the underlying condition and then restore a normal heart rhythm. These reversible causes are usually acute or newly diagnosed and treatable medical conditions like hyperthyroidism, pneumonia, pulmonary embolus (blood clot in the lung), or the ingestion of alcohol or a stimulant drug. Atrial fibrillation can also be caused by cardiovascular conditions such as coronary artery disease, valvular heart disease, pericarditis, or heart failure. If you have one of these cardiac conditions, then attempting to restore and maintain a normal heart rhythm is also a very reasonable approach, once your underlying heart problem is optimally treated. Rhythm control is also usually the preferred approach in people whose atrial fibrillation is very recent or is paroxysmal—that is, it occurs suddenly and intermittently. There is evidence that the longer a person remains in atrial fibrillation, the more difficult it is to maintain a normal rhythm. For people who have paroxysmal atrial fibrillation, and who are usually in a normal rhythm, the rhythm-control approach tends to be far more successful than in people whose atrial fibrillation is persistent or chronic. Finally, rhythm control is the better approach in people who have certain cardiac conditions in which the loss of effective atrial contractions (which always occurs with atrial fibrillation) can produce a dramatic deterioration in cardiac function. These conditions often include chronic hypertension, aortic stenosis, hypertrophic cardiomyopathy, and diastolic dysfunction. In each of these conditions, the left ventricle tends to become "stiff," so that optimal filling of the left ventricle is highly dependent on a strong atrial contraction. 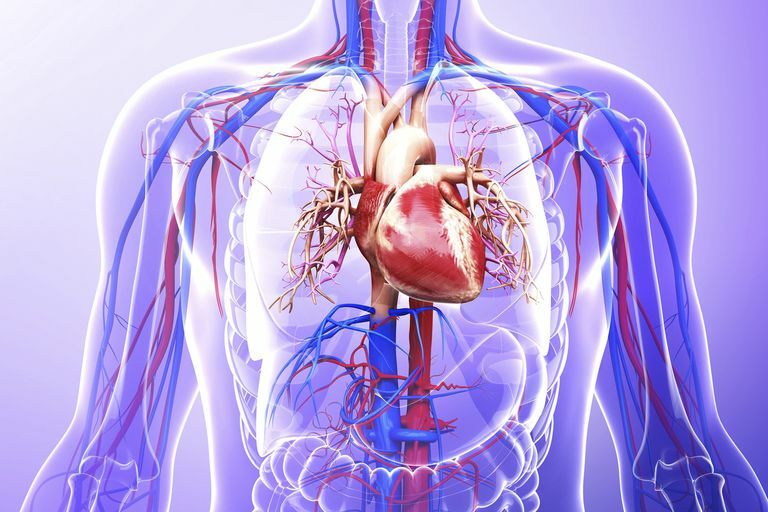 If any of these medical or cardiac conditions are present, it is usually worthwhile to be fairly aggressive in applying the rhythm-control approach—that is, to restore and maintain a normal heart rhythm—once the underlying condition is adequately treated. Here, "aggressive" might mean attempting several different antiarrhythmic drugs to maintain a normal rhythm. It might mean strongly considering an ablation procedure to get rid of the atrial fibrillation. Each of these steps entails risk. Some people who do not have any of these conditions will still opt for rhythm control. This is an entirely reasonable decision, as long as they fully understand the risks. In people who have chronic or persistent atrial fibrillation (that is, who have been in atrial fibrillation most of the time for at least several weeks or months), especially if their atrial fibrillation is idiopathic (that is, there is no identifiable and treatable underlying cause), there are two good reasons why rate control is usually the better approach. First, in these people, the odds of successfully restoring and maintaining a normal heart rhythm over the long term is relatively low. Second, clinical studies indicate that the long-term outcome in these individuals is no better—and might actually be worse—with antiarrhythmic drug therapy aimed at rhythm control, than with the rate-control approach. In these people, the risks of rhythm control usually outweigh any potential benefits. Many doctors will make one try at restoring a normal rhythm even in these patients. This is usually done by simply cardioverting the patients back to a normal rhythm and seeing how they do without antiarrhythmic drug therapy. But if that single attempt fails (that is, if atrial fibrillation recurs), most doctors are quick to adopt rate control as the safer and more effective approach to treatment. Obviously, if you have atrial fibrillation there's a lot to consider in choosing the right treatment approach—the severity of your symptoms; your underlying medical and cardiac problems, if any; the frequency and duration of your episodes of atrial fibrillation; your personal preferences; and the opinions of your doctors. This is a decision that always needs to be individualized. Fuster V, Ryden LE, Cannom DS, et al. ACC/AHA/ESC 2006 Guidelines for the Management of Patients With Atrial Fibrillation A Report of the American College of Cardiology/American Heart Association Task Force on Practice Guidelines and the European Society of Cardiology Committee for Practice Guidelines (Writing Committee to Revise the 2001 Guidelines for the Management of Patients With Atrial Fibrillation). J Am Coll Cardiol. 2006; 48:e149.